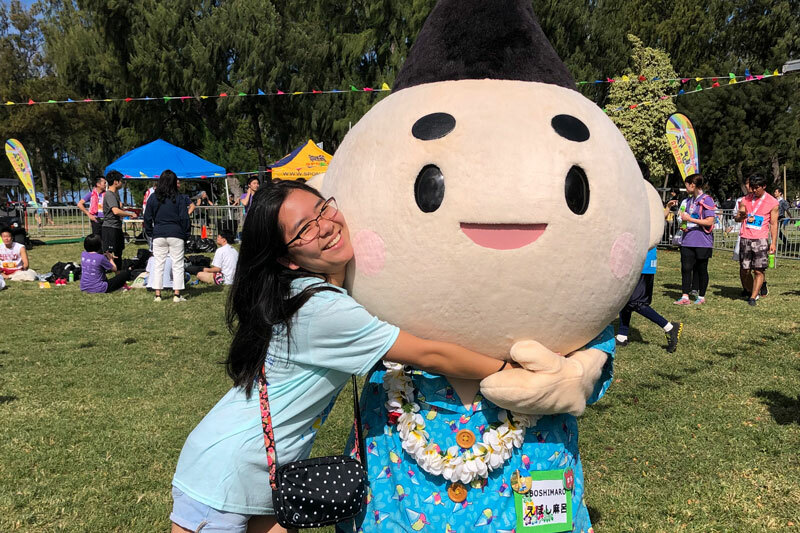 On Sunday, March 10, 2019, members of the Japanese National Honor Society (JNHS) of ISLAND PACIFIC ACADEMY volunteered at the annual Honolulu Festival in Waikīkī. This cultural festival promotes mutual understanding, economic cooperation, and ethnic harmony between the people of Hawaiʻi and the Pacific Rim region. 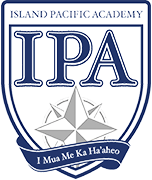 The educational programs and activities that make up the festival showcase the rich blend of Asia, Pacific, and Hawaiian cultures. The Honolulu Festival runs for three days in March every year, with each day focusing on a different event. 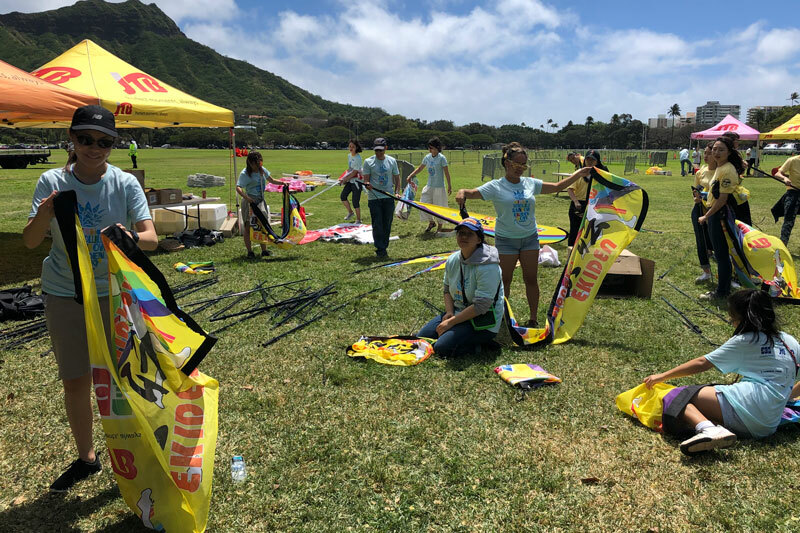 For Sunday’s event, IPAʻs JNHS members helped out with Ekiden, which in English is “running race.” This activity reflects the Japanese culture where eki means station, and den means to convey. It was the name given to the old Japanese transportation system by the relay of horses or men. Ekiden events are popular in Japan and have now spread to different parts of the world. 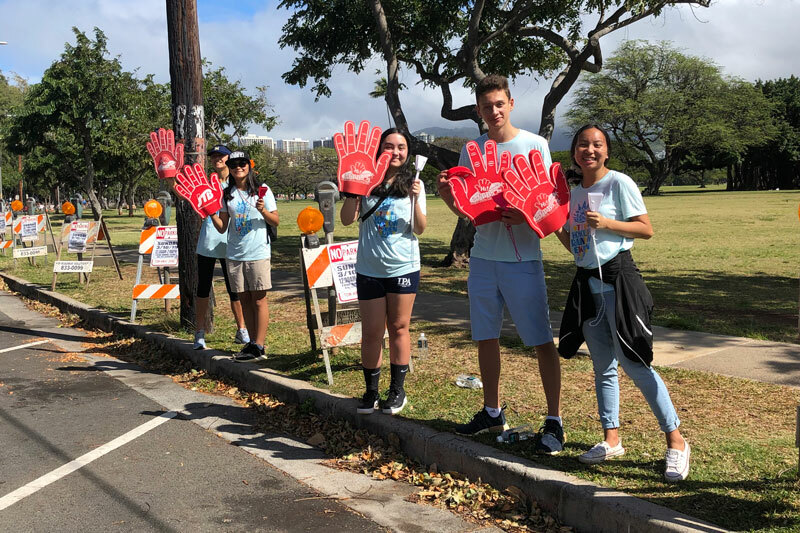 Since the Honolulu Ekiden is very popular among Japanese visitors, or anyone who is willing to be active, it was the perfect event for the JNHS members to practice their Japanese language skills. JNHS members cheered on the runners from Japan in Japanese. Ganbare! is “Go for it!” Moo chotto! means “Just a little more!” The IPA students had a wonderful opportunity to watch the runners powering through with long-lasting stamina while they stood alongside the route cheering them on. 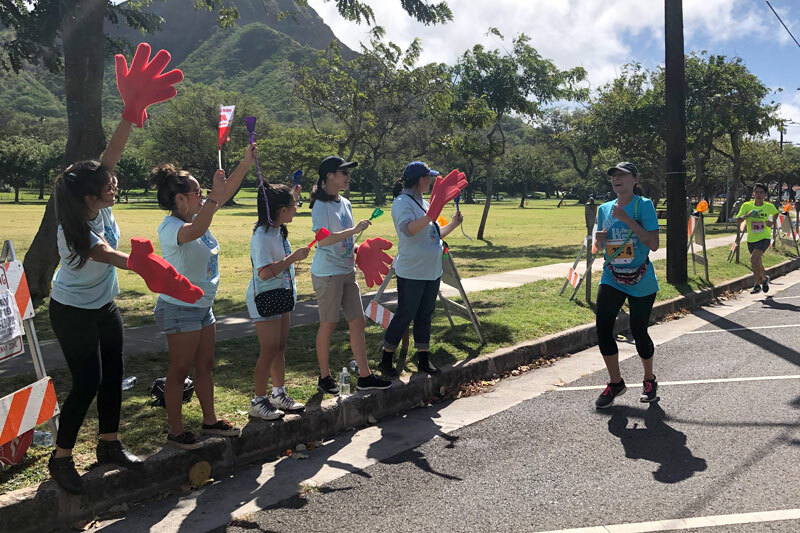 Some of the students also assisted with the Keiki Race and Family Race. 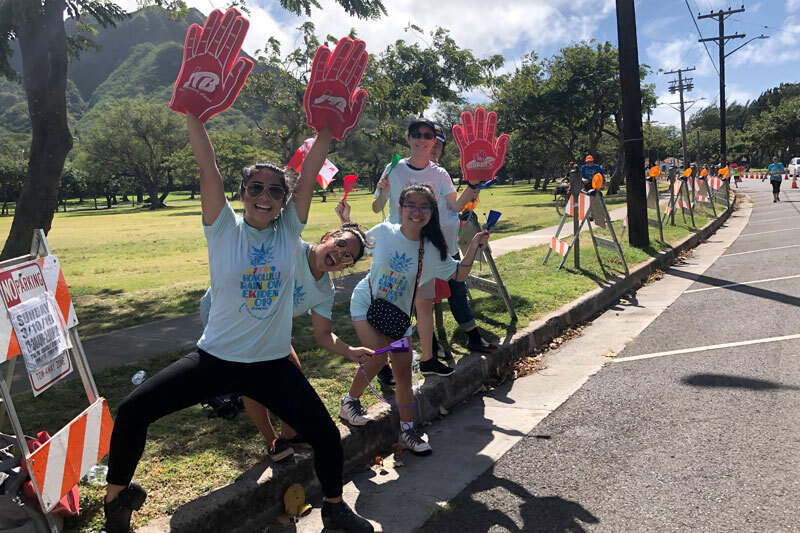 All the runners and our IPA students had a great time at the Honolulu Ekiden, and it was a great opportunity for the students to enrich their study of the Japanese language and culture while also helping to give back to the community with their time and effort.